£450? You’re having a laugh! Please – if you’re prepared to pay £450 to this crowd for my little book (as good as it is) could you not consider buying 82.266 copies at the proper price? This would look far better for my sales stats. 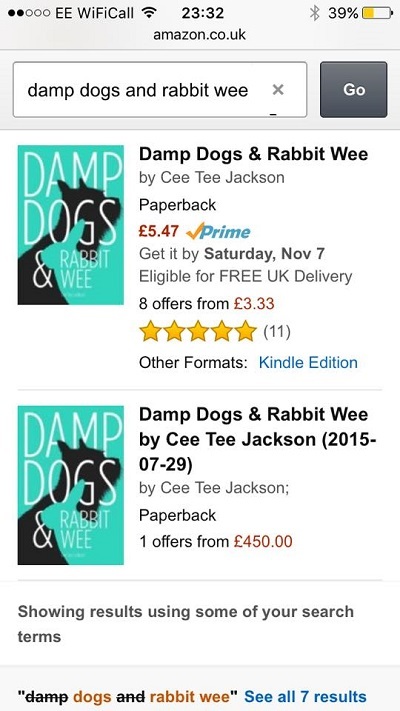 Posted by Cee Tee Jackson on November 8, 2015 in Damp Dogs & Rabbit Wee.